Hello everyone! If you know me, you know I love to stamp my own unique patterns using individual stamps. 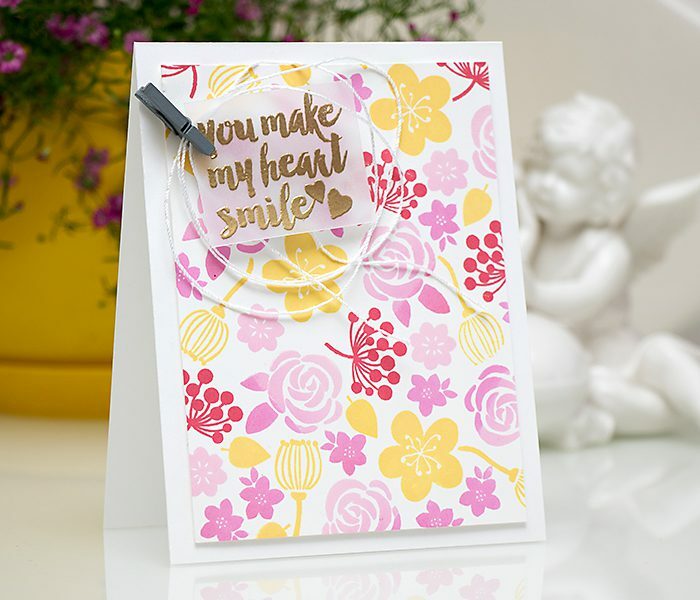 And today I have a very feminine card to share using a few floral stamps from Hero Arts. I love making backgrounds and at times think that small individual stamps are even better than large background stamps. You can use them however you like and stamp whatever you want. 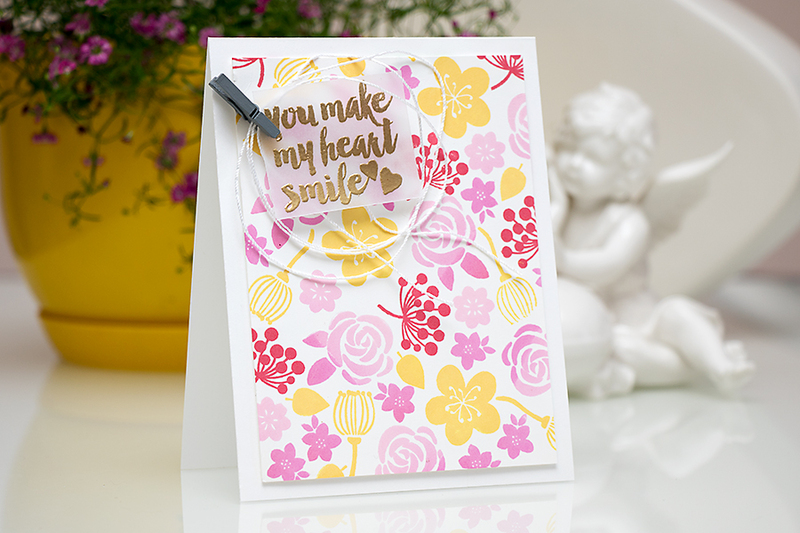 I created a colorful floral background for this card using stamps from the Garden Flowers by Lia set. I’ve used Butter to Orange and Pink to Red ombre pads for a little variation of color. 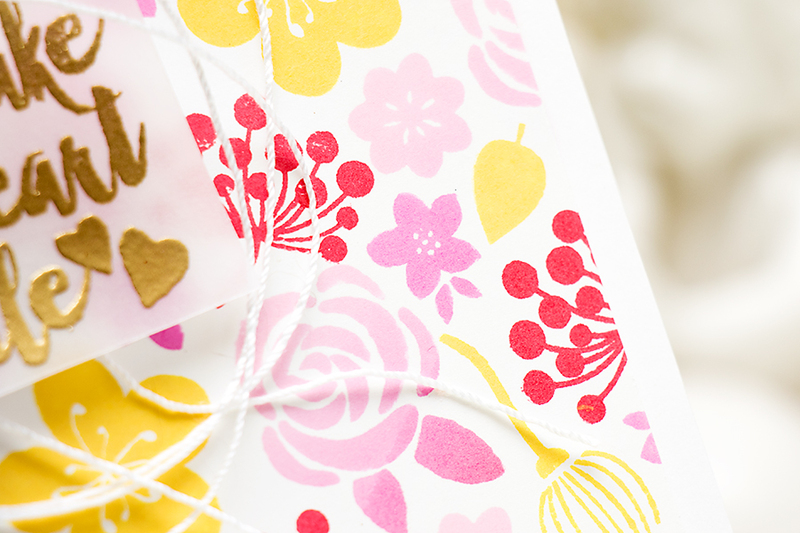 Of course I had to add a bit of gold heat embossing, this is a must do for me these days. 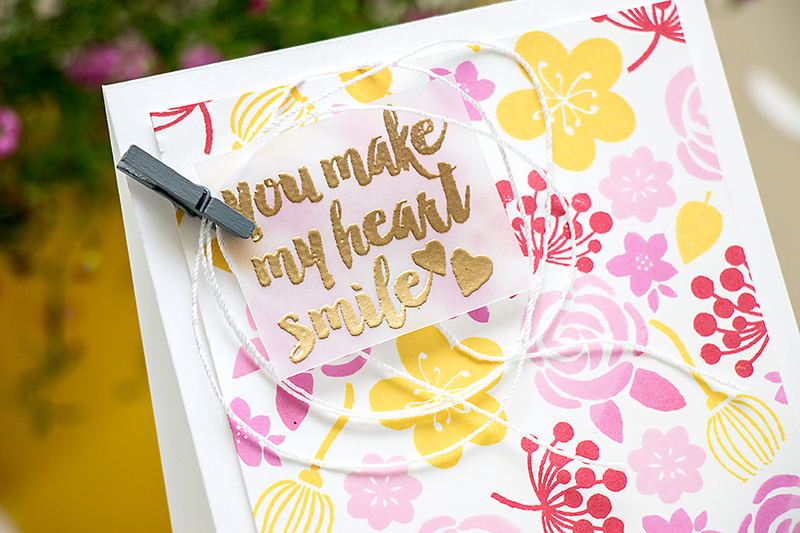 I didn’t want to cover the background up so I used vellum instead of paper and heat embossed a beautiful You Make My Heart Smile sentiment. My custom stamped panel was foam mounted onto an A2 top folding card base; I also added a bit of white thread under the vellum and clipped it in place using a mini clothespin. Beautiful color combination and I love the very clever way you attached the vellum. Lovely card all round! Oh wow, this is so pretty Yana! I just love the background you created here. The colors are perfect together too, with just the right pops of each one!